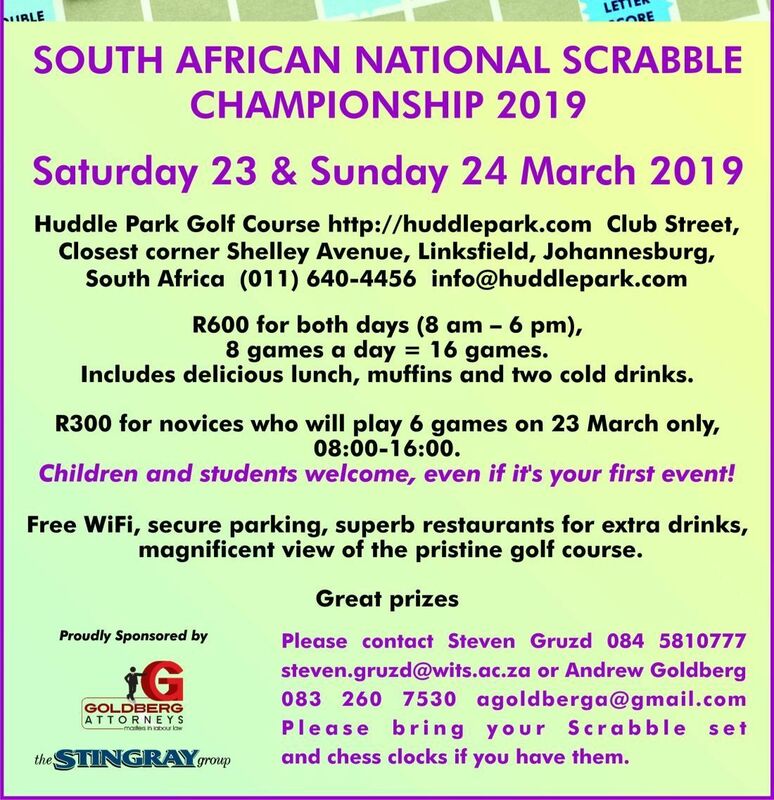 The SA National Scrabble Tournament is to be held at Huddle Park Golf Club www.huddlepark.com on 23-24 March 2019. The brochure is attached hereto. 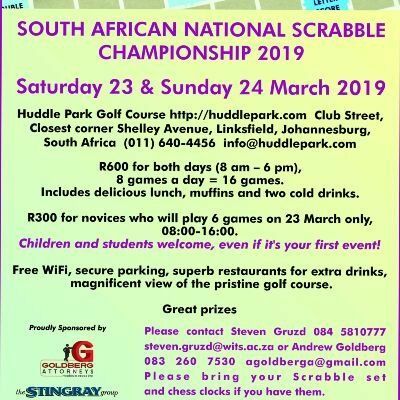 This event is open to everyone and anyone who has ever played scrabble. There are two parts to the Nationals – the Main event which is 16 games over two days – we have 30 players playing in this event. We also have the social which is just 6 games on Saturday starting 8h00. For the social we only have 12 players presently and are looking for another 38 players to play. Everyone will win a price and as it is social it caters for beginners, novices and the like or as we term them newbies. The tournament will be the first to be held in Johannesburg that is internationally rated, that is you will get a international rating if you play.